Comtech Telecommunications Corp. (NASDAQ:CMTL) announced that, during the company’s fourth quarter of fiscal 2018, its Santa Clara, California-based subsidiary, Comtech Xicom Technology, Inc., which is part of Comtech’s Commercial Solutions segment, has received a contract for more than $4.8 million from a U.S. military integrator for high-power satellite communication (SATCOM) traveling wave tube amplifiers (TWTAs). Comtech Xicom Technology, Inc. manufactures a wide variety of tube-based and solid-state power amplifiers for military and commercial satellite uplink applications. 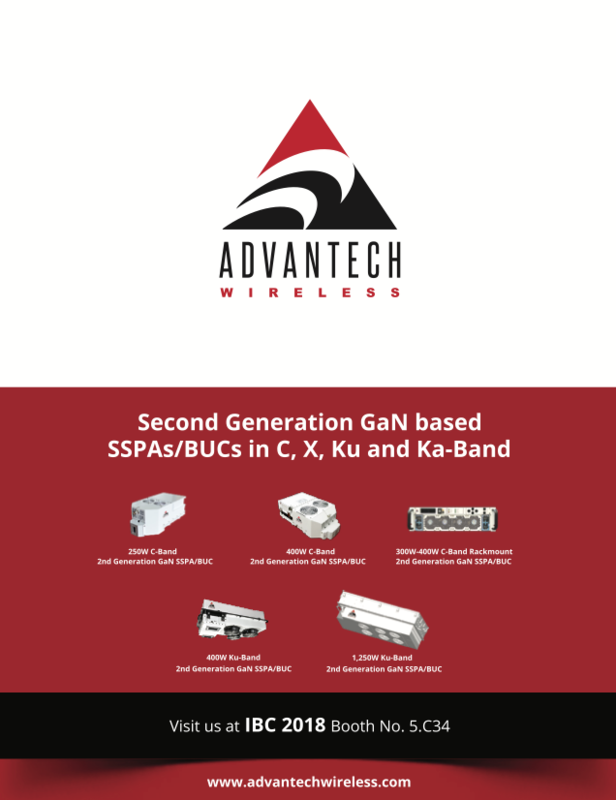 The product range encompasses power levels from 8 W to 3 kW, with frequency coverage innsub-bands within the 2 to 51 GHz spectrum. Amplifiers are available for fixed and ground-based, ship-board, and airborne mobile applications. Fred Kornberg, President and CEO of Comtech Telecommunications Corp., noted that the U.S. Military counts on Comtech Xicom Technology to deliver sophisticated, high-power amplifiers. He added that over the past 5 years, Comtech Xicom has manufactured hundreds of amplifiers for this application and the firm’s customers can count on Comtech Xicom to deliver high-power SATCOM products on time and with high quality. ACR Electronics, Inc. and Ocean Signal are highlighting to commercial owners and operators how the life-saving capabilities of the company’s distress beacons, including their Category 1 automatically-deployed, float-free EPIRBs, are significantly enhanced due to Cospas-Sarsat’s next-generation, MEO Search and Rescue (MEOSAR) system. The update in technology means that the importance of including an EPIRB for the vessel and PLBs for crew within the on-board safety equipment will increase as the new Cospas-Sarsat system reaches full operational capacity in the next few years. Revolutionizing the search and rescue process, 24 EU-launched Galileo navigation satellites will carry second generation SAR transponders for the Cospas-Sarsat system at MEO altitude to supplement the existing LEOSAR (Low Earth Orbit) and GEOSAR (Geostationary Orbit) systems. The increased number of satellites offers much faster signal detection, greater location accuracy, strengthened coverage and greater reliability to improve alerting times for distress beacon owners in emergency situations. All ACR Electronics and Ocean Signal beacons, including the ACR Globalize V4 and GlobalFIX Pro and iPro EPIRBs, the ACR ResQLink PLBs, plus the Ocean Signal SafeSea E100 and E100G EPIRBs, rescueME EPIRB1 and rescueME PLB1, are compatible with the next-gen satellites, ensuring they will offer the near instantaneous signal detection and transmission enabled by the global MEOSAR satellite transponders and upgraded ground-station components. 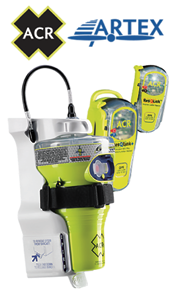 For commercial vessels that require a float-free EPIRB that automatically deploys and activates when submerged in water, the ACR Electronics GlobalFIX V4 and GlobalFIX Pro, and Ocean Signal SafeSea 100G float-free EPIRBs feature Category 1 hydrostatic release brackets, or housing options. ACR and Ocean Signal EPIRBs are reliable, innovative, compact and user-friendly with exceptional battery lives, and feature robust internal GPS to fix the exact location of the vessel in distress within 110 to 120 meters accuracy. The coordinates are then transmitted via a 406MHz distress signal to search and rescue authorities, with a 121.5MHz homing signal further guiding searchers to the position. Estimates indicate that when using the next-gen network, anyone activating a GPS-enabled ACR or Ocean Signal EPIRB or PLB can expect their beacon to be located within 100 meters (328 feet), 95 percent of the time, within five minutes of the distress signal, instead of requiring as much as the one to two hours that is typical with the current LEOSAR and GEOSAR system. When complete, there will be 72 MEOSAR satellites positioned at MEO altitude, more than six times the number of existing satellites in orbit. MEOSAR relays more beacon signals to ground stations using a technique known as ‘bent pipe’, which is an average of 46 minutes faster than LEOSAR. The network of ground stations, called MEOLUTs (Local User Terminals), along with multiple antenna systems, results in close to 100 percent reliability and near instantaneous global coverage. The first rescues demonstrating near real-time signal detection using a MEOSAR satellite have already been documented, with the new Cospas-Sarsat system expected to reach full operational capability in 2020-21. Chris Hoffman, Chairman of the RTCM (Radio Technical Commission for Maritime Services) Board of Directors and Chair of the RTCM Special Committee SC110 on Emergency Beacons, said that as the representative of beacon manufacturers within the Cospas-Sarsat community, the company works closely with companies such as ACR and Ocean Signal to ensure that the needs of end-users are taken into account when developing these new systems and enhancements. the CSpOC has met USSTRATCOM’s Initial Operations Capability requirements. General Raymond said that space is a warfighting domain, just like air, land and sea. Strong alliances are vital, and the U.S. National Space Policy is clear on the importance of partnering with nations that share U.S. objectives to promote the preservation and long-term sustainability of the space environment. The CSpOC positions the U.S. and allied space forces to deter a conflict from extending into space, and should deterrence fail, to fight and win. The CSpOC will be essential to protecting, advancing and elevating our combined space capabilities, which fuel our country’s way of life, our economy and our nation’s security. Representatives of the U.S. Military Academy promoted science, technology, engineering and mathematics learning to 70 gifted students on June 25 in partnership with the African Institute for Mathematical Sciences. The outreach event was made possible through efforts between the U.S. Embassy in Pretoria, U.S. Africa Command, West Point and the researchers, staff, and graduate students at AIMS South Africa. Students were selected from Luhlaza High School and Joe Slovo Engineering High School in the Khayelitsha Township, and from the Thope Foundation and the Molomhlaba Organization — two non-government organizations (NGO) focused on transforming the lives of young girls through education. Ivy and his cadets brought a “programmable circuit” lab to the training. The lab highlights the Arduino platform, an open-source miniature programmable computer with uses including education, home automation and rapid prototyping in research labs. Using this platform, the workshop introduced the South African students to technological discovery through several exploratory exercises. AIMS advocates empowering Africa’s youth to shape its future, solve global challenges and drive economic self-sufficiency since its founding in 2003. The program encourages growth and learning in partnership with six universities: Cambridge and Oxford in England, Cape Town, Stellenbosch and Western Cape in South Africa, and Paris Sud XI in France. “We are in this for the long haul, and STEM outreach activities like these today are introducing us to the people we will be working with 10 to 20 years from now,” Pearson said. Agreements at higher government and academic levels, such as the research, development, testing and evaluation framework and the New York National Guard State Partnership Program with the South African Defense Force, highlight the value that both countries place on such collaborations.